The plane of today is YF 23. 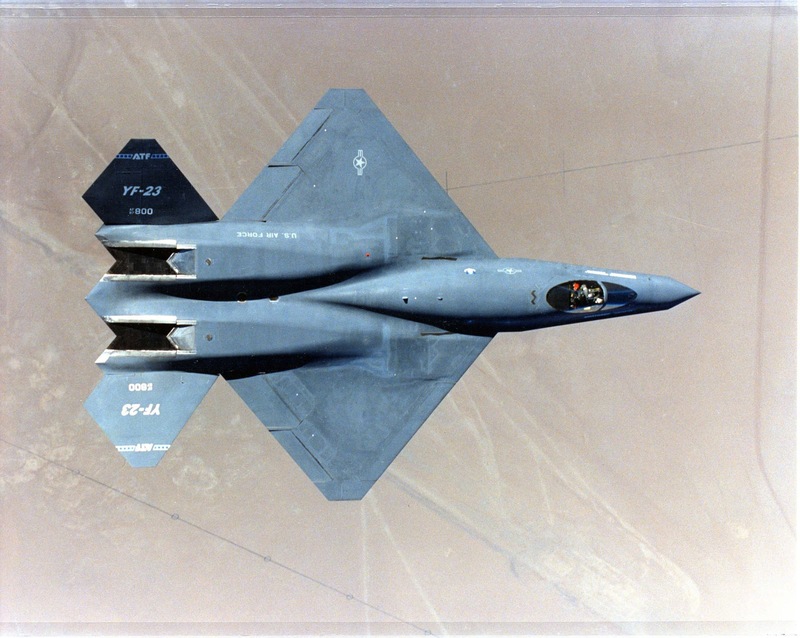 The Northrop/McDonnell Douglas YF-23 was an American single-seat, twin-engine fighter aircraft technology demonstrator designed for the United States Air Force (USAF). The design was a finalist in the USAF’s Advanced Tactical Fighter (ATF) competition, battling the Lockheed YF-22 for a production contract. 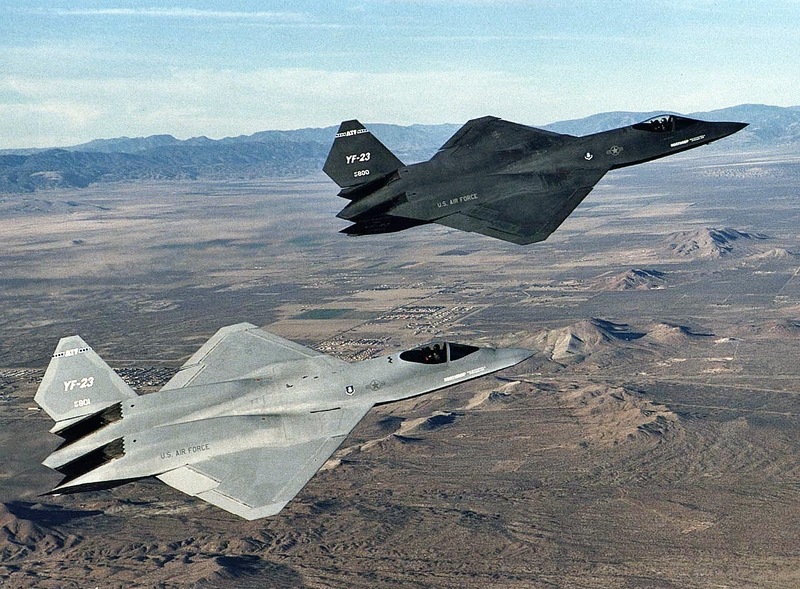 Two YF-23 prototypes were built with the nicknames “Black Widow II” and “Gray Ghost”, as shown in the picture. The wing span of the YF 23 is 44ft, the max speed can reach to mach number 2.25, so it is a supersupersonic fighting aircraft. 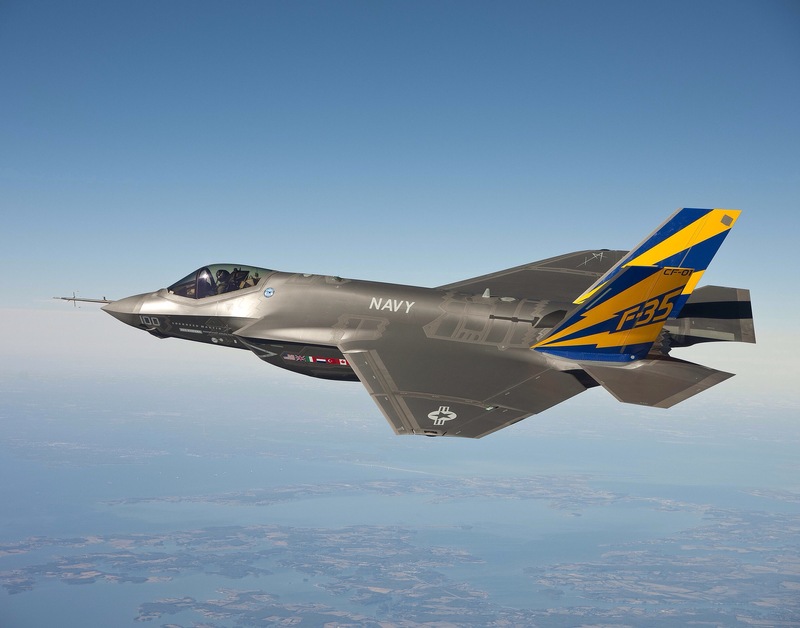 The unit cost of each aircraft is $150,000,000, and it has stopped production, all the its jobs are replaced by Lockheed Martin F-35 Lightning, which is more technical and advanced.